Bushfires are a part of the Australian landscape. The effect upon people and animals can be devastating but what of their effect upon orchids? In 2012, Mike Duncan published a report Response of Orchids to Bushfire, Black Saturday 2009 for the Victorian Department of Sustainability and Environment. 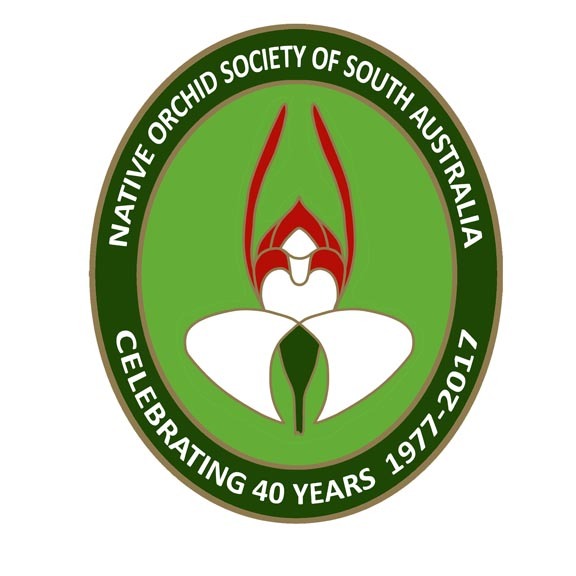 This project addresses general community concerns about the response of orchids to the 2009 bushfires, by documenting the range of orchid responses encountered across all fire affected areas. The information presented in the report is the result of data synthesis and direct field observations from a variety of sources, collected during the two years since the fires. The response of orchids to the February 2009 bushfires was diverse, spanning the spectrum from being killed by fire, to being totally dependent upon the fire to flower. In this report, the spectrum of responses that were encountered have been divided into five broad categories. Populations of epiphytes (e.g. Sarcochilus australis) and terrestrials with shallow tubers (e.g. Thynninorchis huntianus) were killed by the intense fire front. In some cases, these species are likely to recolonise by seed from nearby unburnt areas, but in other cases, these species may require conservation intervention to assist in their recovery. Species such as Pterostylis alveata and Corunastylis despectans appear to have been sensitive to the bushfire, showing a large reduction in emergence over the following two years. Populations of these species are likely to recover naturally over a number of years. The response of the winter and spring flowering Pterostylis species were generally fire neutral, with their flowering rates neither increasing nor decreasing in the two years since the bushfire. The flowering of many Caladenia, Diuris, Prasophyllum and Thelymitra species was strongly stimulated by the 2009 bushfire, creating spectacular patches of massed flowering in the fire-blackened landscape. Similarly, many smaller genera (e.g. Pheladenia and Glossodia) also showed a strong increase in flowering in response to the bushfire, sometimes producing clumps of more than 20 flowering plants. 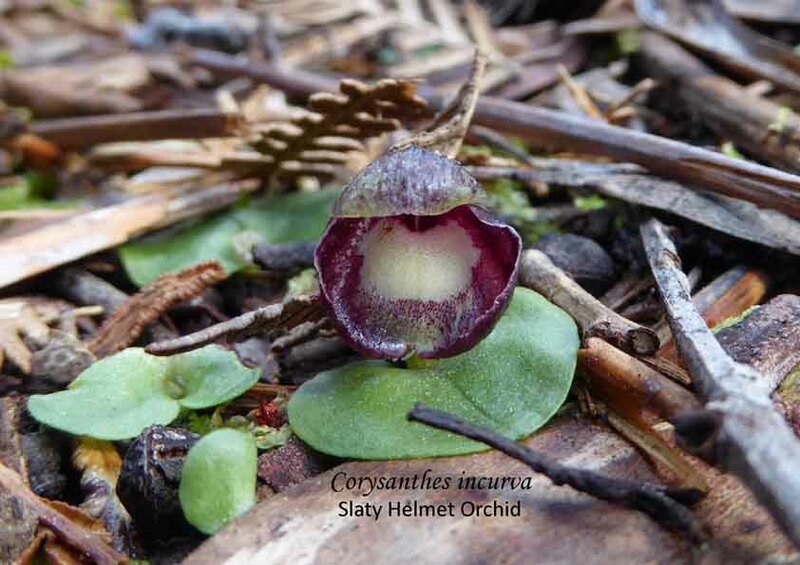 There are four species (Burnettia cuneata, Pyrorchis nigricans, Leptoceras menziesii and Prasophyllum australe) that are dependent upon fire to flower. These species are able to survive for extended periods without flowering. Stimulated by the occurrence of the 2009 bushfire, these four species flowered en masse during spring 2009 (and to a lesser extent in spring 2010); the first time most of these plants have flowered since each site was last burnt. Four nationally threatened orchid species (Caladenia concolor, C. orientalis, C. tessellata, and Pterostylis chlorogramma) occur within the area affected by the 2009 bushfire. These species are part of an ongoing monitoring program, and the collected data offers an opportunity to quantify the post-fire flowering response of these species. The data showed that grazing had negatively impacted seed production in each species since the 2009 bushfire. It would also seem reasonable to assume that similarly high levels of grazing have occurred to other orchid species during this period. A reduction in seed production is an important concern to any orchid species, but it is of particular concern to fire sensitive species, as it will lengthen the recovery time for these populations. A reduction in seed production represents a lost opportunity for species that are fire stimulated or fire dependent, in terms of achieving recruitment to a population. Fire-affected populations of these species will require careful management to ensure that seed production is not compromised into the future. To see the full report, click here ………. This entry was posted in Articles, Conservation, Research and tagged Bushfires, orchids, Orchids & Burns, Orchids & Fire. Bookmark the permalink.